Waterproof and breathable, the award-winning Lowa Zephyr is a great 3-season hiking boot or duty boot for service professionals. 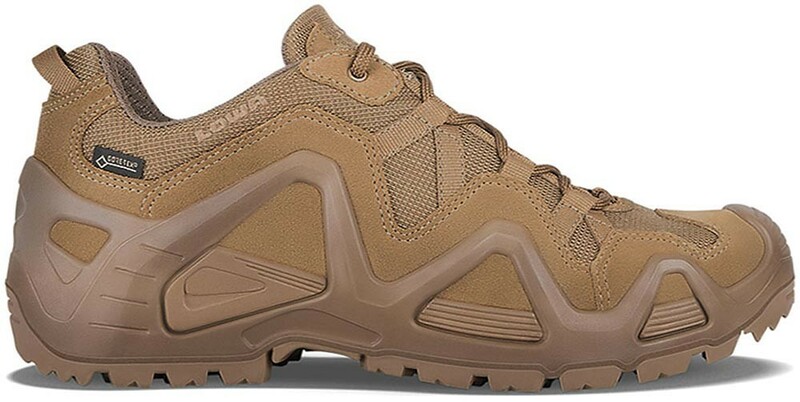 This light weight hiker can handle the most punishing conditions. Lowa Cross sole unit provides all day long comfort. UPPERS: Split leather and CORDURA. LINING: Waterproof GORE-TEX, with climate control footbed. MIDSOLE: PU with Monowrap construction for comfort and stability.